In 2008 I graduated from Rotterdam University of Applied Science, after a course in Communication and Multimedia Design. In 2009 I finished the pre-master Media and Culture at the University of Amsterdam and currently I'm a master student Media and Culture with special interest in Copyright, Net Neutrality and Software Studies. Beside my very active schedule as a student I'm working as an independent freelance new media producer, specialized in technical web applications, and 2 days a week I'm appointed as Community Manager for a medium sized hardware producer in Rotterdam. In my spare time I'm politically active for the Socialist Party in The Netherlands on all kind of subjects and on the Internet as independent voice against Copyright and pro Net Neutrality. In current search engine research the importance of Google as object of study seems to be inevitable. Google seems to be indexing parts of the physical and digital world, which we first thought to be unsearchable. Googlization, the term that is used to describe this, points out how Google is at the core of this research. “It is to describe the growing ‘creep’ of the media company’s search technologies and aesthetics into more and more web applications and context” (Rogers, 2008). The term indicated that Google – through hegemony – is the one making all this search possible, that Google is the one being innovative in search. Other companies and institutes seem to become Googlized, like Universities for example (Vaidhyanathan, 2009). This happens when they adopt the strategy of Google, in copying services but also their minimalistic interface. Especially in current search engine research and critique, Googlization seems to be an undisputed term. Most of the time the term is taken for fact without critically investigating it. But, is Google really this important in search engine research? This article is about the misuse of this term. About how the term may be valid in current development but, after a critical look at the history of search engines, may not be as correctly formulated as one might think. My main questions are if the term Googlization is correct in a historical perspective? 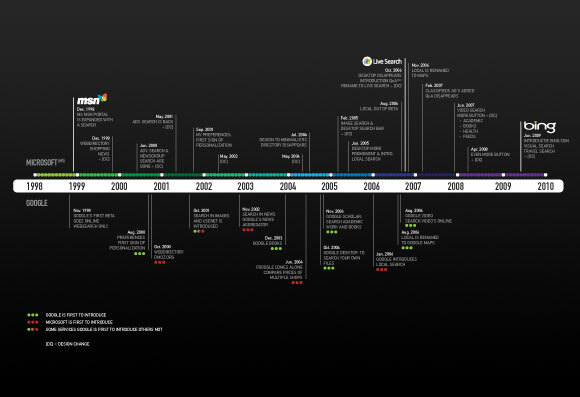 If Microsoft search engines (MSN, Live and Bing) are Googlized? …or if Google is ‘Microsoftized’? I suspected to find evidence that both search engines (Microsoft and Google) have had their influence onto each other. There is no way of saying if Googlization has fully taken place on Microsoft search or that there has been a form of ‘Microsoftization’ on the part of Google. In this light the term Googlization seems to be inappropriate and should be rethought of. In this small exploration of Googlization I will focus on the web sphere of search engines by examining multiple websites. As Niels Brügger states; “[…] it is less likely that the web sphere can be studies without preliminary identification and study of the websites that constitute the web sphere.” (2009, p. 297). Due to limited time I had, I focused my attention on Microsoft search and Google. I focus on Google of course to validate or debunk the term Googlization, and at Microsoft because of their recent launch of Bing(.com). For further research search, engines like Yahoo (still large in the USA), Altavista (was used to be the number one search engine) and Yandex for example (Largest Russian Search Engine) should be involved. Of both Google and Microsoft search I will analyse their current and previous websites by using the WayBackMachine of the Internet Archive(.org). Comparing both websites, on when one or the other introduces a search service, should reveal who influenced the other on introducing the same search service. If the term Googlization is appropriate or not depends on the number of times Google is frontrunner in these new search services. After comparing both Google and Microsoft there is no clear indication of who has the upper hand in influencing one or the other. Microsoft for example is the first to introduce the Local Search, allowing you to search local companies on a map within your direct environment. Google does not introduce this service until months have passed. The same goes for Froogle, Google’s search services in price comparison. MSN search already had this service from the start in 1998 under the name of MSN shopping. 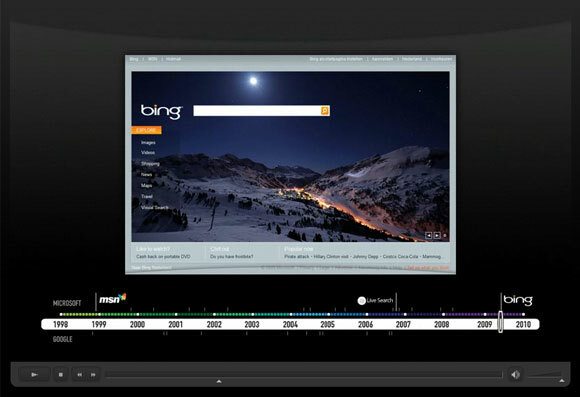 Fig.1: timeline of service introduction of Microsoft and Google. Click for detailed PDF. On the other hand is it Microsoft search, for the first time in the form of MSN search that adopts Google’s minimalistic interface, stretching this up to their recent version in Bing. And it was Google to first introduce image search in 2001, Microsoft did not introduce image search up until February 2005. Google Video, Google Scholar and Google Books are other examples of search that were first introduced by Google (see the video and timetable for full overview). Fig.2: moviescreenshot, click the image to start the movie. Taking this historical perspective into critical analyses I cannot conclude differently than that Microsoft is partly Googlized just like Google is partly ‘Microsoftized’. In light of the notion of Googlization – as making more and more searchable – we might, in the future, better speak of a general ‘Searchalization’ instead. Researching more search engines in the same web sphere would possible reveal that even more services of Google were not the first of their kind. Search Engines like Yahoo, Baidu, Ask, AOL, Altavista, Yandex and many other search engines can contribute to falsify this notion of the Googlization, adding up the evidence on how important it is to look beyond Google for more research objects within the field of search engine critique. Brügger, Niels. ‘Website history and the Website as an object of study’. New Media & Society, vol.11(1&2), 2009: p.115 – 132. Howell, Beryl. ‘Proving web history: How to use the Internet archive’. Journal of Internet Law, issue 9(8), 2009: p.3 – 9. Vaidhyanathan, Siva. ‘The Googlization of Universities’. The Googlization of Everything, May 15, 2009. 19-11-2009. Rogers, Richard. ‘The Googlization Question, and the Inculpable Engine’. Govcom.org Foundation Amsterdam, 2008. 20-11-2009. I agree that, as of late, the term has been used rather loosely. And actually I think that you are misusing the term Googlization with the question, “Are Microsoft search engines (MSN, Live and Bing) are Googlized?”. In addition to Rogers’ definition, it is important to consider that the term was originally used by John Battelle to refer to the “creeping dominance of Google over nearly all forms of informational commerce on the web.” and later by Siva V. as “being processed, rendered, and represented by Google”. “Googlization” is specific to Google because of the company’s international market share (they control somewhere over 90% of search in most countries around the world). It is also specific to Google because of the company’s wide horizontal integration into other markets (ads, email, docs, mobile phones, OS, browsers, etc etc).